Absorption chillers are quiet, vibration free, reliable, low maintenance and don’t use any CFC gases. Because they are driven primarily by heat energy instead of mechanical energy, they are used in industrial manufacturing plants that use boilers or have access to wasted heat from different machinery and processes. The heat source may be solar, gas, water or bromide and steam. In this way they reduce electric peaks in a building’s electric load, cutting costs during the hottest times of the year. 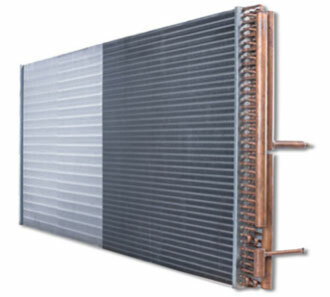 They may act as the sole cooling system, or work as part of an integrated cooling and heating system. Although more complex, absorption chillers act similarly to some residential refrigerators, which have a gas flame at the bottom and ice cubes at the top. Components of absorption chillers must be integrated closely. The compressor, condenser and evaporator equipment are all contained in a single area within the facility. The process begins when a refrigerant, usually ammonia, carbon dioxide, sulfur dioxide, alcohol, brine or methane, is put under pressure, causing heat to build up in the compressor. The liquid is then converted to vapor, and moved into the condenser. The heat leaves, causing the gas to turn to liquid. The cooled liquid then travels to the evaporator, and turns into gas, pulling heat from a liquid coolant or from the air. The chilled air or fluid is then pumped into the process or facility, effectively cooling it down to a desired temperature. The pump is the only electrically-powered component. Absorption chillers may be direct, meaning the heat source is gas or fuel that is burned in the unit, or indirect, using steam or other transfer fluids to bring heat from other sources like the boiler or various heat-generating industrial processes. The system may also use both the indirect and direct heat-drawing methods at the same time. Absorption Chiller Absorption chillers are an alternative to standard, electric chillers and work similarly to air conditioning systems. Instead of using electricity as power, these chiller systems run off heat. 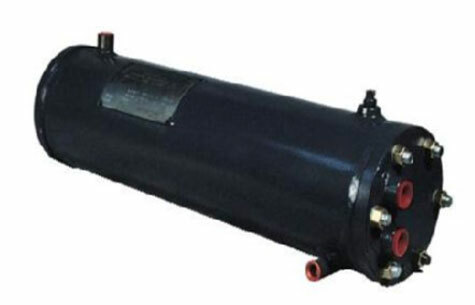 They are used when electric power conditions are poor, and they significantly reduce electricity costs associated with cooling, since they do not use a gas compressor. However, absorption chillers do require greater pump energy than electric chillers.